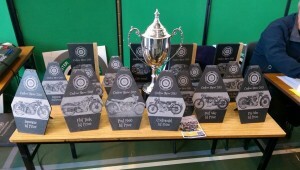 The Carlow Classic Motorcycle Show & Autojumble takes place on Sunday 27th March in the C.B.S. school beside Carlow railway station. Show opens at 10am. Admission is €7.00 and accompanied under 12’s are free. Senior citizens are half price. MAG Ireland will be there on the day, so why not stop by our stand and say hello? We’ll have the usual selection of MAG merchandise available and you can join (or renew your membership) on the day.